Homeland security jobs offer veterans the opportunity to directly support our national defense. After performing such duties for years, many veterans strongly desire to continue serving in an area focused on security and protection. What better way to do that than to seek a civilian career with the Department of Homeland Security? Careers within DHS can be challenging, exciting, and rewarding for those who find job satisfaction through making a positive impact on the lives of other citizens. No matter what specific job you held as a military member, odds are you’ll be able to find something similar with the DHS. So let’s explore a few of your options! What exactly is Homeland Security? private industry.” What do they do exactly? 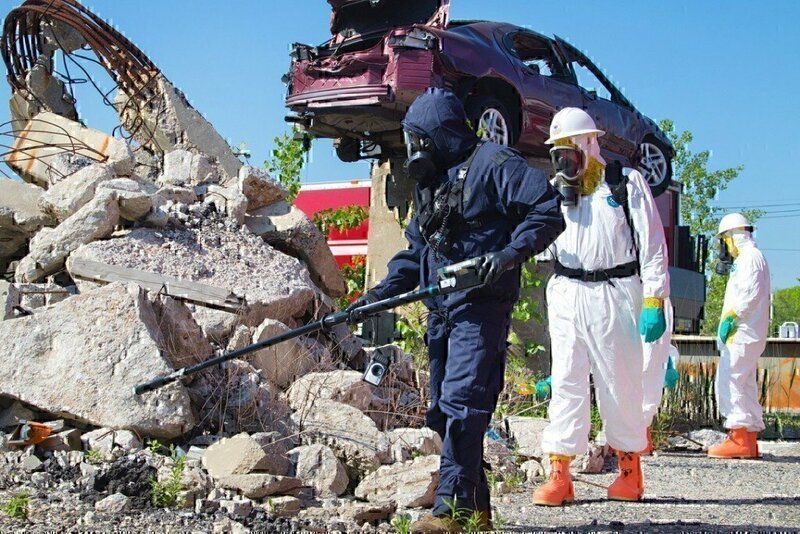 The span of operations is quite broad and varied, but a general description would be that DHS stays on alert to predict and, when possible, prevent threats to the country. Such threats range from terrorist acts, disease outbreaks, and natural disasters. DHS, through the numerous component agencies which fall under their hierarchy, identifies weak areas which might be vulnerable to man-made attacks or Acts of God (any “natural hazard outside human control, such as an earthquake or tsunami, for which no person can be held responsible”). They also respond to crises and help mitigate damage. U.S. Customs and Border Protection offers careers for Border Patrol agents and Import Specialists. CBP loves hiring vets and the job outlook is very good, as emphasis on border security will continue to be a focus in the years to come. Average salary for border agents is approximately $68,550 a year. U.S. Immigration and Customs Enforcement (ICE) offers jobs for Detention and deportation officers, immigration enforcement agents, and general security specialists. Under the current political climate, ICE agents often face some public opinion challenges. However, their work is more important now than ever as enemies seek to exploit the situation. ICE is huge, with over 20,000 personnel, 400 offices, and a $6 billion budget. They manage three “operational directorates,” which are Homeland Security Investigations, Enforcement and Removal Operations, and Office of the Principal Legal Advisor. With so many sections to work in, the job outlook is very good, and average ICE agent salaries hover around $61,600. U.S. Secret Service offers protective and investigative services to the President and Vice President, the President’s family, and also to former presidents and presidential candidates, at times. Glassdoor cites the average salary as $125,000 a year. These jobs aren’t easy to get, but if you’re competitive and willing to shoot for the top, their site tells you how to apply. Falling under the category of Immigration and Travel Security, DHS careers include the Transportation Security Administration (TSA) and U.S. Citizenship and Immigration Services (USCIS). We’ve all encountered agents of TSA, the Transportation Security Administration, as we prepare to board aircraft. And admittedly, many of us have vocalized frustrations with long lines or seemingly over-protective policies. But TSA is on the frontline of preventing future acts of terrorism, from attacks on crowded airports to persons attempting to smuggle weapons onto a flight. Security is only getting tighter, thus the job outlook is solid. Salaries vary but the average is around $50,000 a year. U.S. Citizenship and Immigration Services provides careers for Asylum and Immigration officers. Unlike many of the above jobs, these are more focused on office tasks with a heavy emphasis on attention to detail. Many entry level administrative positions start at a few dollars over minimum wage, but salaries go up with experience, and they offer fuller career details on their website. 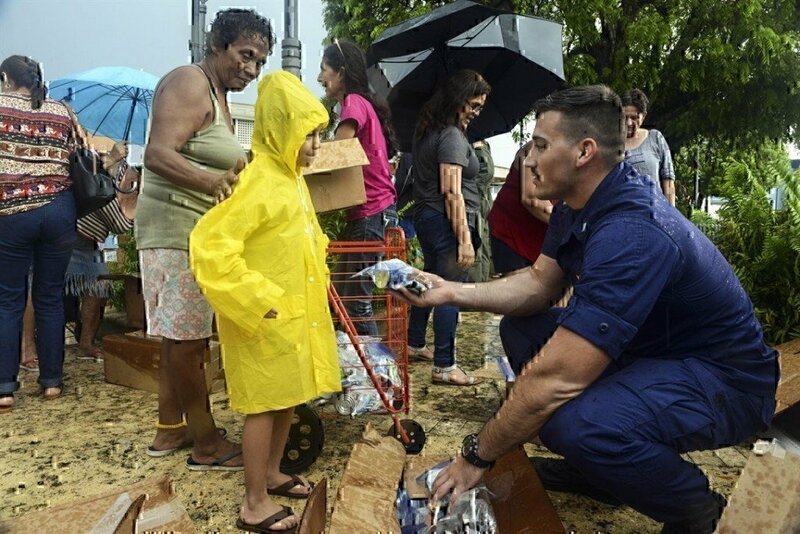 Under Prevention and Response jobs, DHS lists the Federal Emergency Management Agency (FEMA) and, perhaps surprisingly for some, the Coast Guard (USCG). Federal Emergency Management Agency has a simple yet profound mission statement: “Helping people before, during, and after disasters. Formed by President Carter in 1979, this agency is directly tasked to prepare for disasters of all types, and to respond quickly and concisely to save lives and property. Jobs include working as a FEMA Federal coordinating officer, or a Program specialist (for areas such as “fire; national security; response, recovery, preparedness, and mitigation”). The salary range for coordinating officers as $80,818 and up. Last but not lease we come to the U.S. Coast Guard, which, for many transitioning vets, is the ideal choice for a switch over to DHS work. The Coast Guard is a military branch of service, but unlike the others (Army, Air Force, Navy, Marines), the Coast Guard doesn’t fall under the span of control of the Department of Defense…unless it is acting in direct support of a naval operation during wartime. Military pay is not like civilian pay, as all vets know. There’s Basic Pay, but also pay for housing and food, and other incentive pay, plus retirement plans, tax breaks, etc. But a general pay chart for Coast Guard jobs can be found at GoCoastGuard.com. READ NEXT: PHYSICIAN ASSISTANT JOBS – EARN $100K PER YEAR! Homeland security jobs offer veterans the opportunity to continue serving their nation after their military retirement. Learn more about homeland security jobs for veterans now.